Out with the old and in with the new! It’s time to turn away from winter blues and take a fresh deep breath into spring. Annual spring cleaning is upon us again, and to make your transition into the new season a breeze, here are some quick tips with a must-have giveaway for the occasion. Your family’s living space deserves only the best – after all, where else can you unwind and call it your very own home sweet home? Would very much like to try the OxiClean Laundry Detergent Fresh Scent, 24 paks!! thanks so much for a chance at this great package!! I’m excited to try OxiClean™ Coldwater Laundry Detergent Fresh Scent the most! 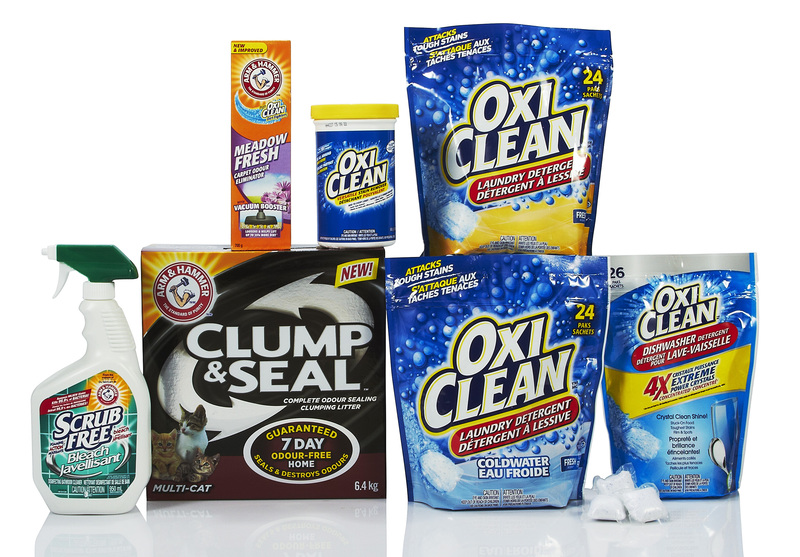 I would love to try the OxiClean™ Laundry Detergent Fresh Scent 24 pack. I would love to try the try the OxiClean Laundry Detergent Fresh Scent 24 Paks.Thank you. I would try the OxiClean™ Dishwasher Detergent Extreme Power Crystals™, Fresh Scent first! I would love to try out the Scrub Free™ Bleach Mildew, I am sure it would come in handy for a few cleaning tasks. I would like to try OxiClean™ Versatile Stain Remover. I would like to try the Arm and Hammer Clump and Seal with my two cats. I would like to try the Scrub Free™ Bleach Mildew. I would like to try the oxi clean cold water!! Thanks! I’d most like to try the Clump and Seal Multi-Cat Litter 🙂 Thanks for the chance. I would like to try the oxyclean. Have heard so many good things about it. I would want to try the OxiClean™ Versatile Stain Remover!! The carpet cleaner! Love arm and hammer. I would like to try the Scrub Free Bleach Mildew. Any help I can get on my tiles is a blessing! Wonderful prize filled with lots of goodies to get us in the Spring cleaning mood! Thanks a bunch! I’m most excited to try the Versatile Stain Remover. My toddler gets stains on everything!! If I have to pick one, it would be the Scrub Free Bleach Mildew. Curious to see how it does! I’d like to try the Oxiclean versatile laundry stain remover. I’d like to try the OxiClean™ Coldwater Laundry Detergent Fresh Scent paks. I’d love to try the OxiClean™ Versatile Stain Remover. I have not been able to find an effective stain remover yet and would love to see how well this works! I would love to try the OxiClean™ Dishwasher Detergent Extreme Power Crystals™, Fresh Scent. I run a home daycare and have 2 boys of my own so we go through a pile of dishes every day. I am always looking out for a great working dishwasher detergent.